It is rare today to find someone who does not have a smart phone. Although not every child has access to a desktop or laptop computer at their home, most parents have a phone in which they access the the internet with. 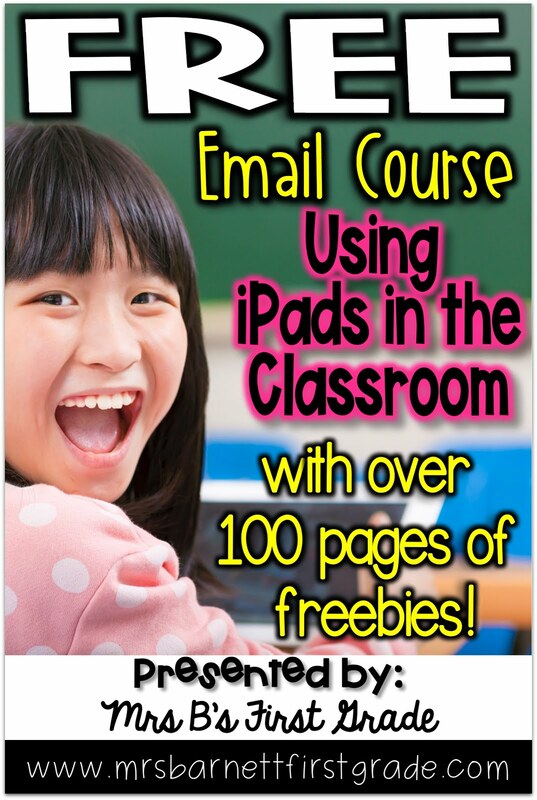 Teachers can take advantage of this and provide QR codes so that parents can view student's work! Most parents visit their child's school at least once during the school year. Others visit much more often. 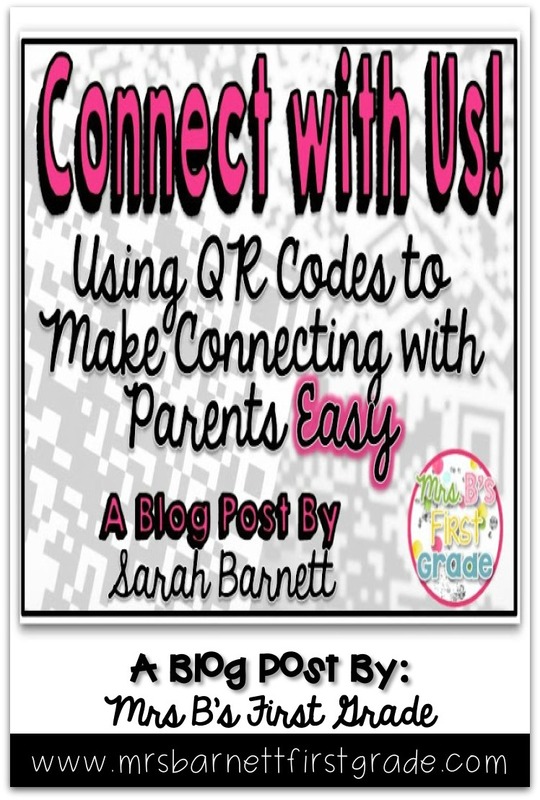 I like taking advantage of this and posting QR codes outside our classroom for parents to scan. 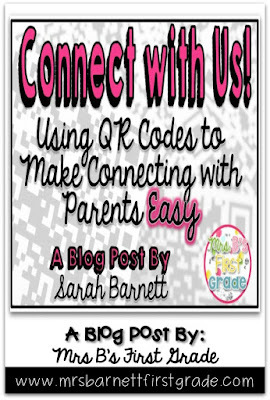 At the beginning of the year I put out QR codes that take parents to our blog, Twitter account, and KidBlog accounts. I post them outside my door with directions on how to scan them. Parents can then save them in their phone and easily keep updated with what we are up to. Click here to download the posters! Want to read more about how I have posted QR codes for parents to scan? Click here to see how we have shared our research about leaders through QR codes in the hallway. 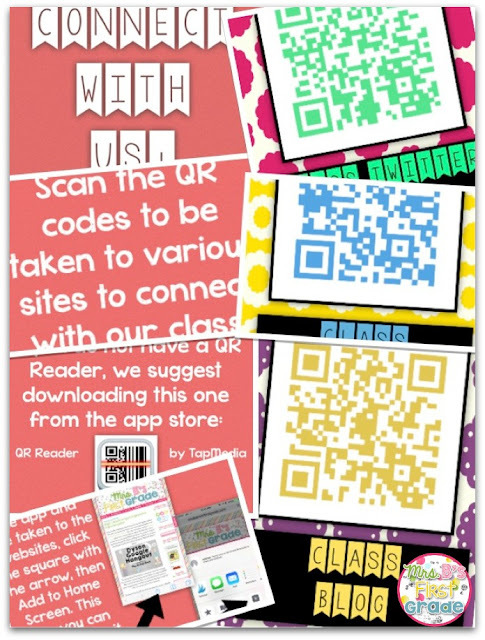 Click here to read about how we have shared end of the year reflections through QR codes in the hallway. Click here to see how we have had an Augmented Reality (next step up from QR) bulletin board for parents in the hallway. 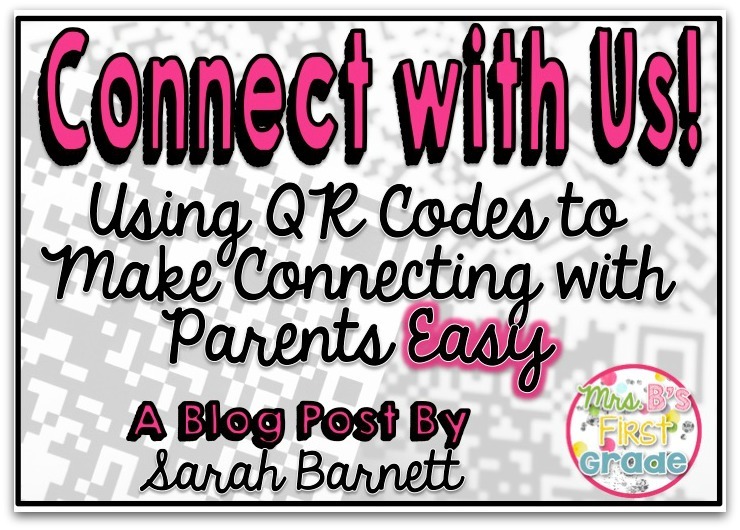 How have you used QR codes to share with parents? I would love to hear about it!